Oh look! 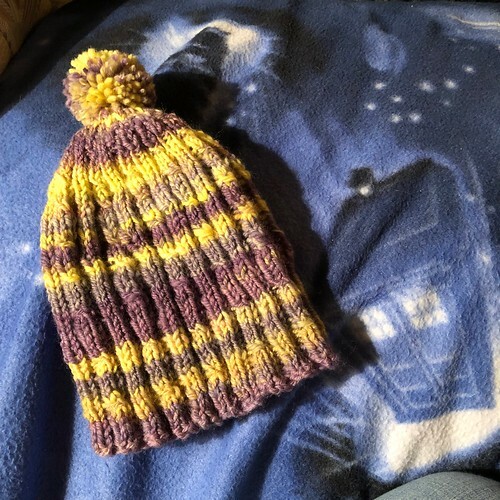 A finished hat! This was a really fast project. I enjoyed knitting it a lot, too. I think I’ll be making more hats in future, and when I run out of people to give them to I know I can give them to charity. 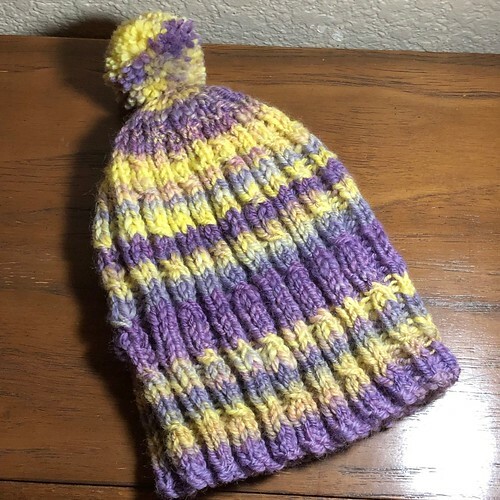 This one is the Mock Cable & Rib hat by Jennifer Stover, and I used yarn I spun to knit it. This got added to the pile of Christmas presents yesterday, and now belongs to my niece. The fun thing about this hat is that because it’s knit entirely in ribbing, it stretches to fit lots of head sizes. It’s like a Tardis! Bigger on the inside! I hope you all had a lovely holiday, and are getting ready for a wonderful new year. So does wearing that hat make one the Dr or the Companion? That all depends on how one feels at any given moment, I suppose. Happy New Year and happy new hat! Thanks! I’ve discovered that making pom-poms is really fun… I think I’m in trouble.